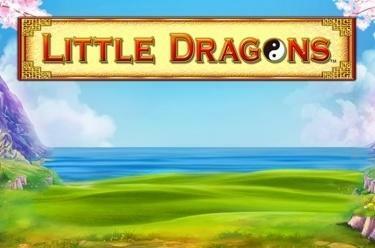 Play Little Dragons™ online for free now! Five reels, 243 ways to win and endless fun! In the fun slot game Little Dragons™, the cutest of creatures will do their best to land you huge Twist wins. A wide variety of possible winning combinations will keep you entertained and on the edge of your seat, and the Free Game feature will take your gaming experience to the next level! Five matching symbols side by side in one of the winning patterns that run from left to right will land you a pile of Twists. As the game’s Wild symbol, the Yin-Yang symbol can substitute for every other symbol (including the Scatter) to bag you bigger wins or trigger free games. Moreover, it multiplies winnings when it forms part of a winning combination (one Yin-Yang symbol on reels two and four = x2 multiplier; two Yin-Yang symbols on reels two and four = x4 multiplier). 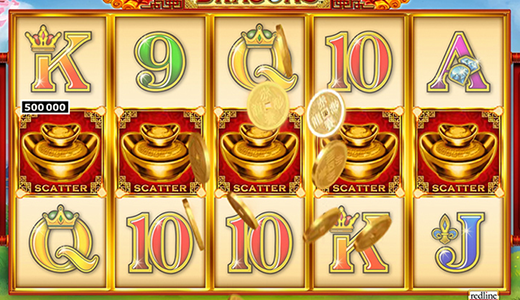 The Scatter symbol (the Golden Pot) can trigger up to 25 free games if it appears three or more times from left to right across the reels. Free games triggered by Scatter symbols can be extended if three or more further Scatters appear in the games. Up to 25 additional free games can be won. And make sure you keep your eyes peeled in the freegGames for the influential Yin-Yang symbols. They function as multipliers if they appear on reels two and four as part of a winning combo (one Free Game Wild = a multiplier of x3, x4 or x5; two Free Game Wilds = a multiplier of x9, x16 or x25).